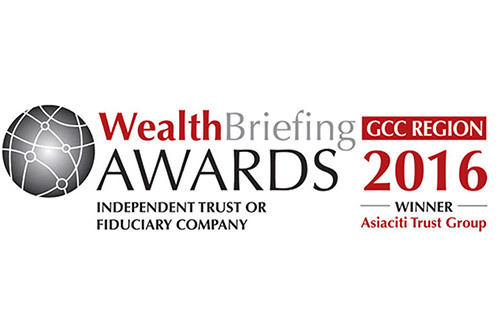 Asiaciti Trust Group emerged a big winner at this year’s WealthBriefing GCC Region Awards 2016, receiving three awards at the prestigious Taj Dubai. The Group has been crowned the Best Independent Trust or Fiduciary Company. The prestigious panel of judges noted how Asiaciti Trust Group takes the time to understand a client’s situation before providing a solution from its wide range of locations; and, also how the Group provides training and support to firms aiming to improve their knowledge of the region. Asiaciti Trust Group’s Regional Director Laurence Black was also named Leading Individual (Advisor). This award recognises an individual who embodies qualities such as Laurence’s impressive contribution to the development of its employer’s business growth, his determination to raise the society’s profile and his approachable and willing to assist personality. Laurence also received a special Editor’s award for Outstanding Contribution to Wealth Management Thought Leadership. The Guest of Honour HH Sheikh Mohammed Al Qassimi from the Sharjah Rulers Family did the honours of presenting the most prestigious awards of the evening. The awards are testaments to the hard work that the team at Asiaciti Trust Group has put in over the last 12 months committing to deliver the highest level of services to its clients, and also propelled the Group towards its goal of being recognised as a leader in the MENA wealth structuring space.